This video from BrainPop what plagiarism and how to avoid it. 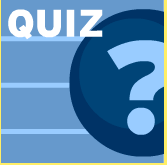 When you're done, be sure to take the BrainPop quiz. Links from the University of Washington to start the conversation on what plagiarism is with some recent and topical examples from the news. This video from BrainPop explains what paraphrasing is -- and why it's important.